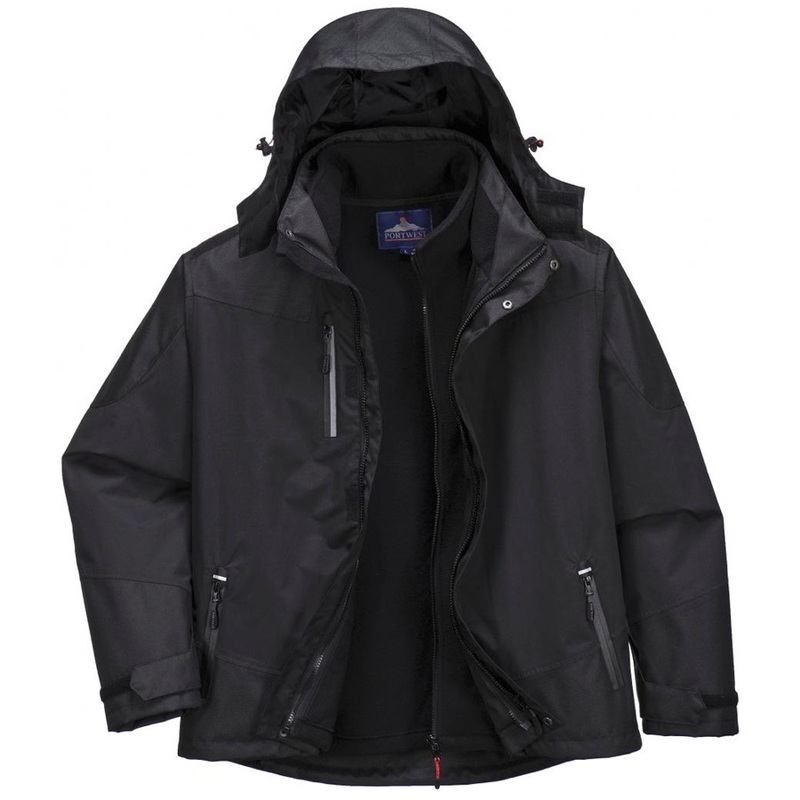 The Portwest S553 is Ideal for modern corporate use, this contemporary cut jacket has a sporty fit and is totally waterproof, windproof and breathable. The dual-fabric outer shell has Oxford reinforced panels for additional durability. Water resistant zippers give a sophisticated, low profile finish. The inner fleece jacket provides insulation in colder conditions or can be zipped out to be worn as a standalone fleece. The ultimate in quality, style and function combined.